Another year, another new phone, and with the success of the Samsung Galaxy S7 Edge, it’s clear the company isn’t going to let up any time soon. Right on time, Samsung’s Galaxy S8 has arrived, releasing a burst of the new evolving on what worked in the old, and delivering a phone that tries to move ahead of the curve, so much that it ends up with a form the likes of which feels like it has emerged from the future. Is Samsung’s $1199 Galaxy S8 what the company needs to clinch 2017’s phone of the year, or is it just a sightly newer Galaxy S7? With a design that has clearly evolved from Samsung’s recent S7 Edge model, it’s easy to see the path the manufacturer is taking, and that’s one of something smooth, simple, and feeling like it has emerged from a stitch in time. And that’s the feeling you get with Samsung’s Galaxy S8 the first time you hold it, with the curved glass edges and soft metal frame feeling almost as if it’s one piece of glass that someone somehow managed to stuff a bunch of electronics inside. Technically, we can see the evolutionary path Samsung has journeyed on to get where it is today. The Galaxy Edge introduced curved screens for Samsung, curving to one side, and then the Galaxy S6 Edge curved things so it wasn’t just a gimmick found on one side of the phone, but rather both. The Galaxy S7 Edge improved things while still leaving a bit of a lip on the handset, giving you something to let you know there was still technically an edge, but letting the display blend into the hand. And hey, let’s not forget the Samsung Galaxy Note 7, because when it wasn’t an explosive risk, it was a beautifully conceived and executed design that rolled around the edges, offering a piece of interactive glass. 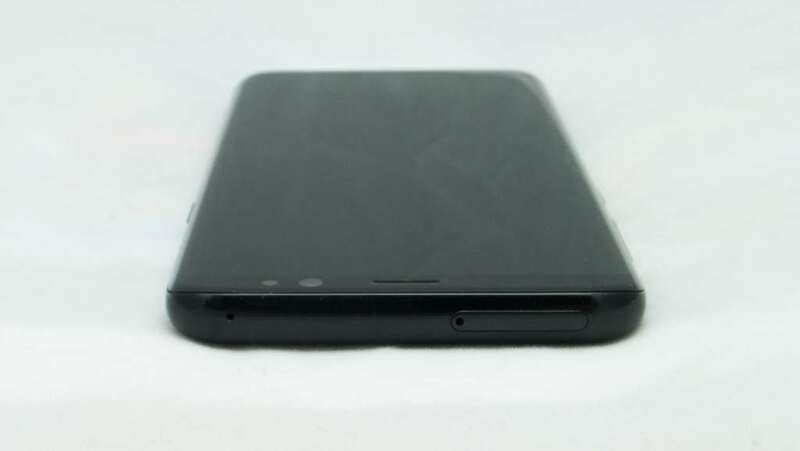 That leads us to the Galaxy S8, a phone that has more than the one nod to the Note 7, because this phone feels more like a pen-less Galaxy Note 7 in design. You’ll find two pieces of curved Gorilla Glass on each side wrapping around the electronics screen before coming together in a firm clasp, connected and glued into place with a metal frame where no edges or joins feel particularly evident. Instead, the whole thing just comes together as if it were one to start with. It’s such an impressive piece of design that some might view it more like a high class appliance, or a curious piece of jewellery, and while we don’t want to come across overly-glowing, it’s hard not to feel a little in awe of the feel Samsung has made with the phone. 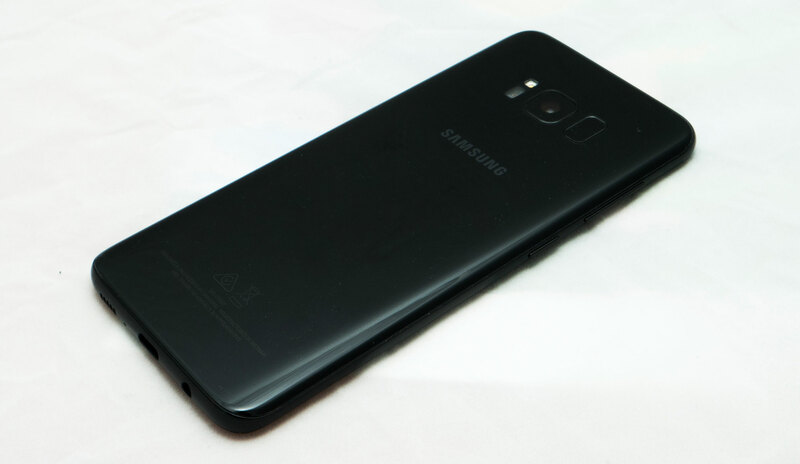 The Galaxy S8 doesn’t feel as substantial as its 152 gram weight might suggest, and even though its 8mm thickness is a little thicker than the competition, it hardly comes off feeling that way thanks to the curvature Samsung has gone for. And it’s a design that truly grows on you, as if you had this stone in your hand that you could keep in your pocket, getting it out when you need to check who’s called, who’s messaged, and anything else you expect modern phones to do. 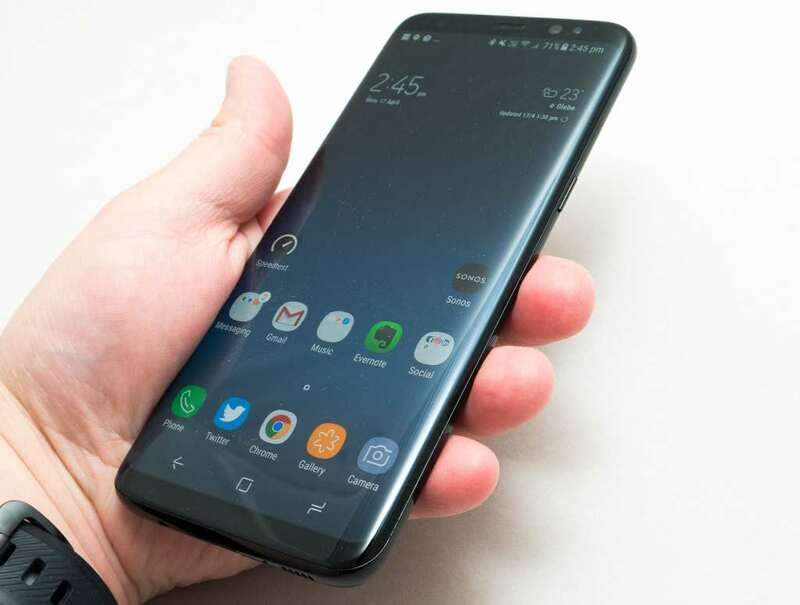 That said, as lovely and soft and smooth and sleek as the Galaxy S8 is, it also can be a touch slippery, so be sure to hold the phone well, as a device that is practically wrapped in curved glass can only come across this way, and dropping this phone should be the last thing you’ll want to do. Granted, Corning’s Gorilla Glass 5 should provide more than your average modicum of scratch resistance, but it’s not as if the Galaxy S8 is made to bounce, with this likely cracking before that happens. 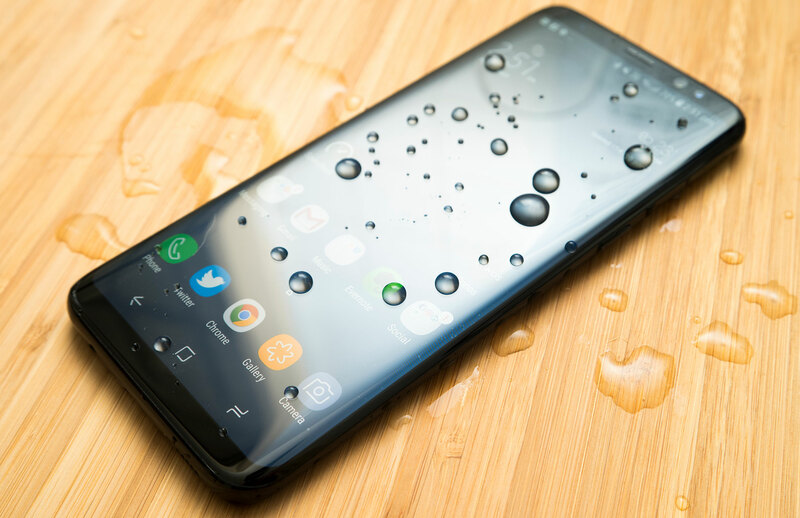 At least you’ll still find IP68 water- and dust-resistance here, which means you can still go swimming with the phone, just make sure you wash off the chlorine or salt-water under a tap before you go away. Waterproof ratings are only rated for freshwater, which means baths, showers, and little zen gardens. Under the casing of the mostly glass design of the Galaxy S8, you’ll find a system ready for the new year, with a new processor, new operating system, and a mostly new set of everything else. First there’s the silicon, and for that Samsung is equipping Australia with its own chip, the Samsung Exynos 8895 processor, an eight-core chip that uses the 10 nanometre (nm) process and is paired with 4GB RAM and 64GB storage, the latter of which is upgradeable thanks to the inclusion of a microSD slot. 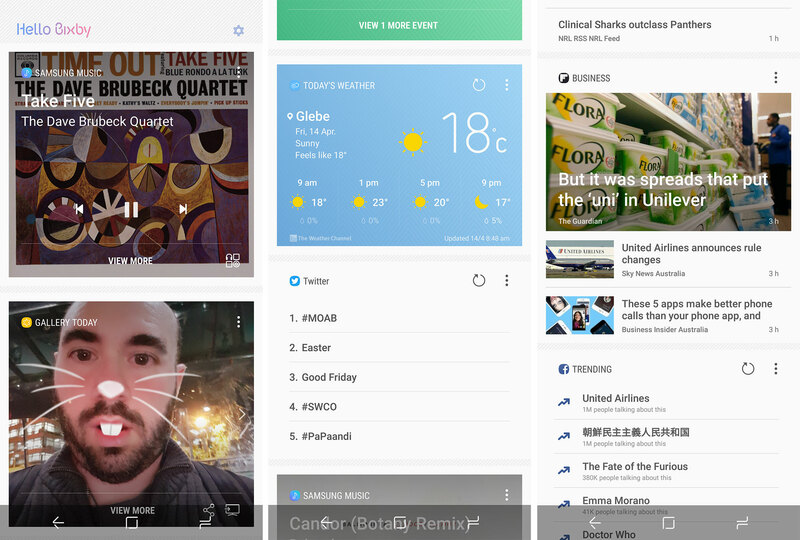 Google’s Android 7.0 “Nougat” runs on the phone out of the box, with Samsung’s evolved overlay changes on top. Cameras are along for the ride, too, with a 12 megapixel camera with an F1.7 lens on the back, sitting next to a flash and capable of recording at Ultra HD’s 4K resolution, while the front-facing camera has been upgraded to an 8 megapixel camera with another F1.7 lens, while the front-facing camera also supports the unlikely inclusion of auto-focus. Connections on the handset are both consistent and brand new, as flagship in 2017 includes a couple of new tricks. First, in with the old as 802.11ac’s flagship WiFi is along for the ride supporting all existing technologies, like 802.11a/b/g/n. GPS and Near-Field Communication (NFC) are both here, as is Samsung’s Magnetic Strip Technology (MST) for payment support in Samsung Pay, as is Android Pay over NFC, while the other wireless technologies have undergone a slight change. In with the new, you’ll find Bluetooth 5.0 on this handset, backwards compatible with existing Bluetooth technology, and the 4G LTE has been upgraded, too, with Category 16’s maximum of 1000Mbps down and 150Mbps up, pushing mobile broadband to the nth level here. Wired connections aren’t as varied, though, with a Type C USB port at the bottom for charging and data transfer, support for wireless charging, and a 3.5mm headphone port, something Samsung still includes even as competitors like Apple and Lenovo begin to move past it. 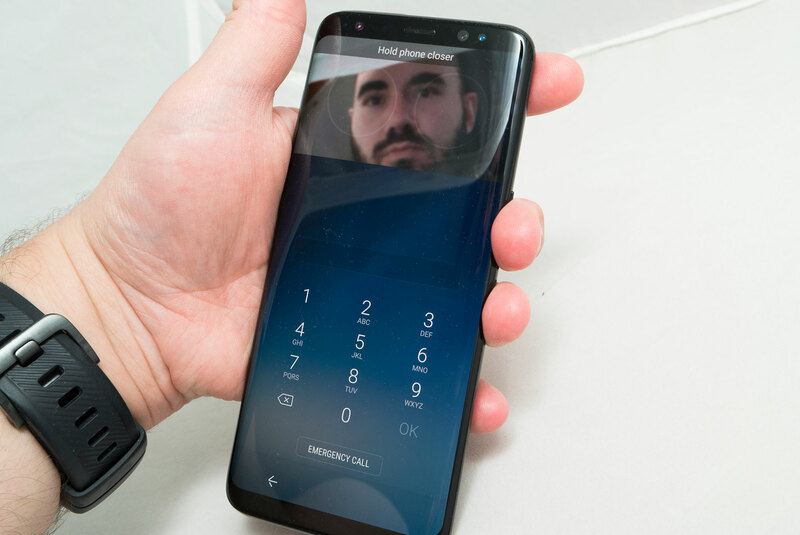 Biometric security technologies like a fingerprint scanner and eye-scanning (iris) are also included, as is continued support for water-resistance, with the Galaxy S8 rated for IP68, making it practically dust-proof and water-resistant down to below a metre of water for up to 30 minutes. All of this sits below a 5.8 inch screen running the Quad HD+ resolution of 2960×1440 and displaying a pixel density of 570 pixels per inch. A single nanoSIM is supported on a pin-ejectable tray capable of taking both the SIM and a microSD to expand the storage. The battery is rated at 3000mAh and is not removable. 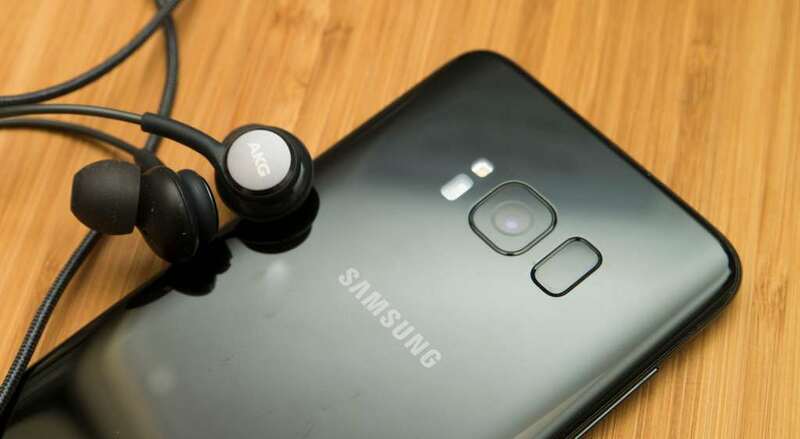 With a decent set of specs under the hood, it’s time to switch the phone on, and once you do this, setting up the phone afterwards, you’ll discover Samsung has been toying with Android once again. 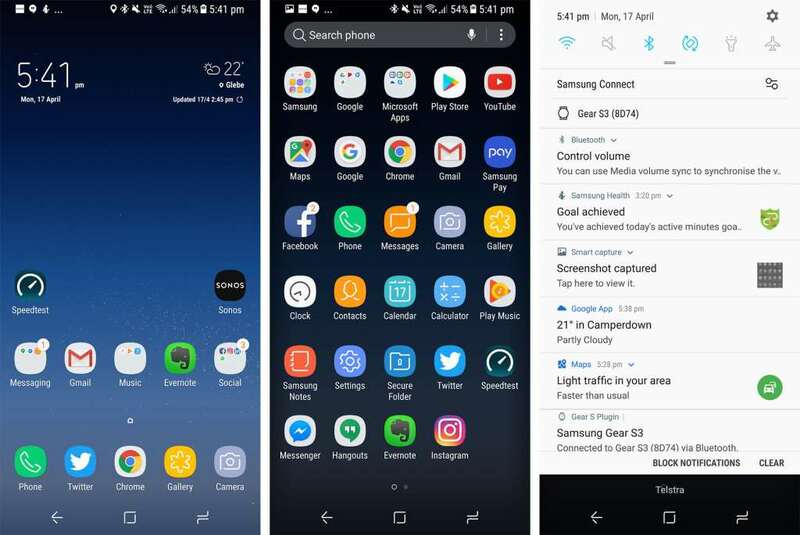 But unlike the old days of TouchWiz where it felt like Samsung was trying to reinvent another phone, this instance of Android comes across as if Samsung is trying to perfect Google’s iteration, with a more Pixel-like desktop that you’ll swipe up to get to the main app menu. That’s Android on the Galaxy S8 for you, unless you decide to delve into the settings and make things more like an iPhone or how Huawei and Oppo work, with apps on the main screens scrolling left to right. For the first time that we’ve seen on a Samsung phone, these are actually choices, options which we suspect have been put in to make the move easier for someone switching from something like an iPhone so that the S8 is much easier to adapt to. 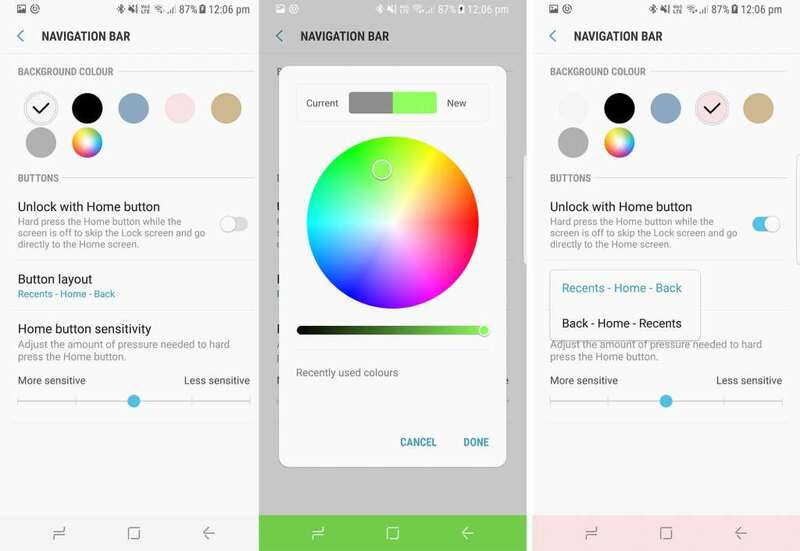 There are other changes too, and because all the Android buttons are now part of the screen, you’ll find you can decide which order you’d prefer — multitask on the left or multitask on the right — while also being able to colour the soft button bar to your own liking. Happy to keep it black? Do that. Prefer white? It’s there. Want a completely different colour to brighten up that nice AMOLED display your phone uses? It’s your choice. In fact, choice appears to be a big deal here, with more elements of customisation than we’ve seen previously in Samsung’s phones. You’ll have access to a blue light filter, what apps should work properly in the fullscreen 18.5:9 aspect ratio (because they don’t always), if your icons have frames, when the LED indicator lights up, how many recent notifications your status bar displays, how the ambient screen switches on if it even does at all, and if you want a screensaver while the phone is charging (previously Daydream, now “screensaver”). And do you want enhanced colours in the video, and a one-handed mode, and a quick way to maintain and clear out memory your new phone? What about a way of changing the grid size on both the desktop and the apps menu? These are all options, with even a bare minimum of apps pre-installed, outside of a few by Google and Microsoft. There are some changes, such as how pressing hard on an icon will now pop up with an “uninstall” option compared to how you used to be able to drag the app to an “X” to uninstall, but they’re minor, and it shouldn’t take long to familiarise yourself with anything new. Whether you prefer your phone to look and feel like Android or more like iPhone, you have choices on the Galaxy S8. After getting familiar with the phone, you’ll want to spend some time with that screen, and it is a really nice screen. 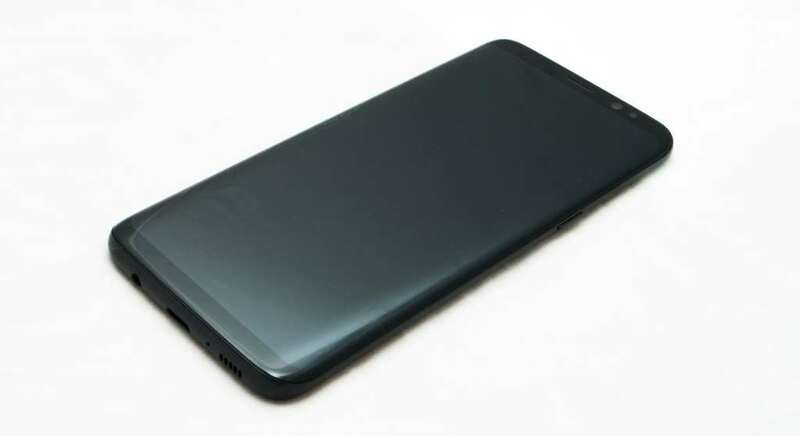 A departure from the 5.1 inch 16:9 Quad HD display of the Galaxy S7, Samsung has now moved onto the longer 5.8 inch 18.5:9 Quad HD display, boasting more size and more pixels, and curving from left to right with a minimal set of bezels on the top and bottom, now that Samsung uses soft buttons like the other Android manufacturers. It’s a longer display than you’ll probably be used to, but one just as bright and high quality as Samsung’s screens have been, with a display that works inside or outdoors, and is super sharp to boot. Samsung’s new choice of aspect ratio also comes with some benefits, displaying videos in a way whereby the black bars seem like they’re not there. Technically they are, and according to the screenshots they are, but the black bars now form the part of the screen that curves off to the sides, so your photos and videos will appear borderless. And really, that’s the point of Samsung’s curved screen, with the bezels practically melting away into your hand. It needs to be said that Samsung’s curved screens do still have edges, but they’re harder to see when holding the phone, and so while the bezels are still technically there, they are not enough to notice. That’s great if you’re after a phone that feels like it’s all screen, which is what Samsung is going for in the Galaxy S8. Playing with the screen is one thing, but playing with the phone is something different altogether. 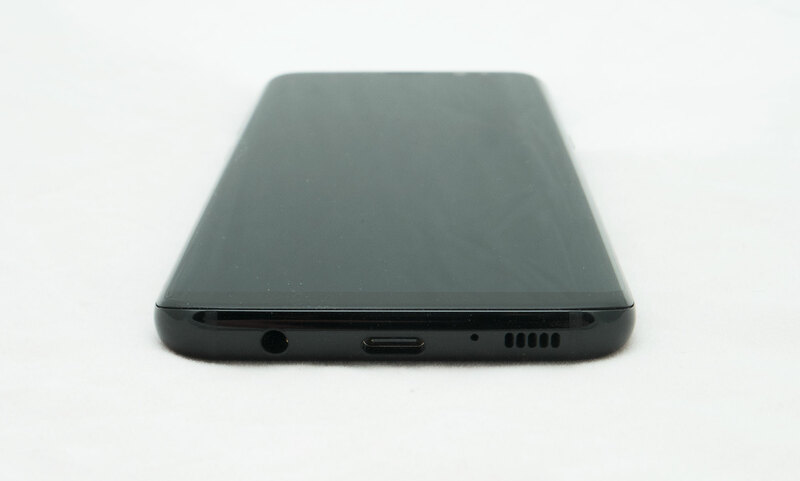 Fortunately, Samsung has designed the phone well from the inside as well as the outside. In Australia, Samsung’s Exynos 8895 processor is the chip used under the hood, a new processor with a 10 nanometre process that keeps performance high but power usage down, working alongside a generous 4GB RAM and Android 7.0 “Nougat”. That means benchmarks are understandably high, and with varying and controllable performance levels that you can change in the system settings, you’ll find scores close to the 50,000 mark. 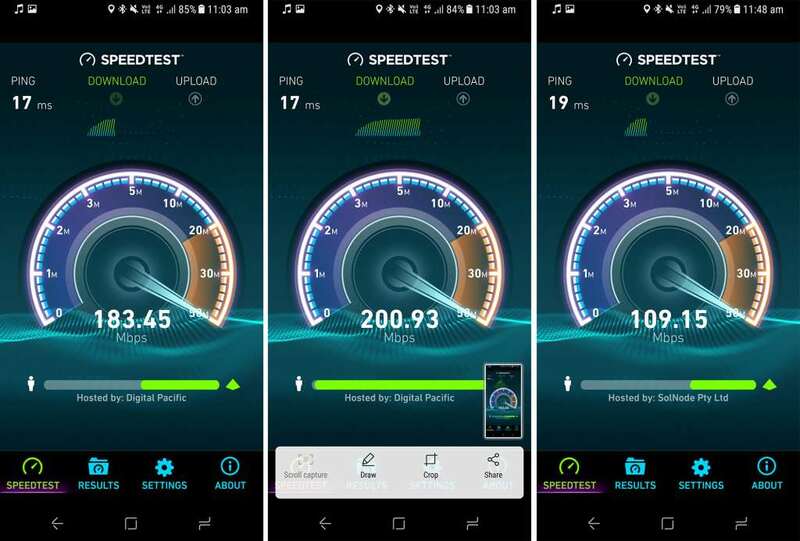 These scores don’t necessarily mean much, but they do offer an indication of overall system performance, something you also find when you use the phone, with little to no lag and a sense of immediacy in using the handset. 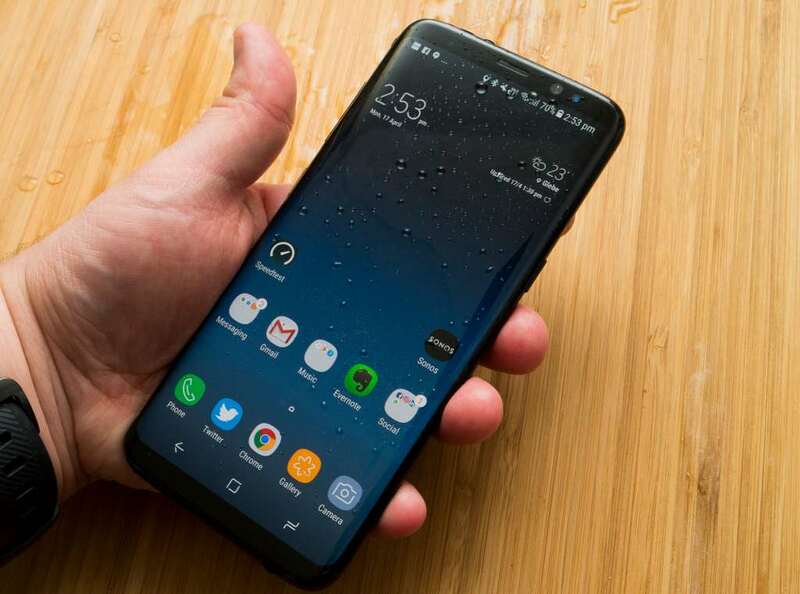 Mobile performance is also solid, with the Samsung Galaxy S8 rated as the first Category 16 LTE capable phone released in Australia, and the second modem released after Netgear’s Nighthawk M1 that can handle speeds hitting a maximum of 1Gbps. While 1Gbps doesn’t mean 1GB per second — far from it, and actually closer to 125MB per second — it’s still bloody fast, though good luck achieving those speeds. 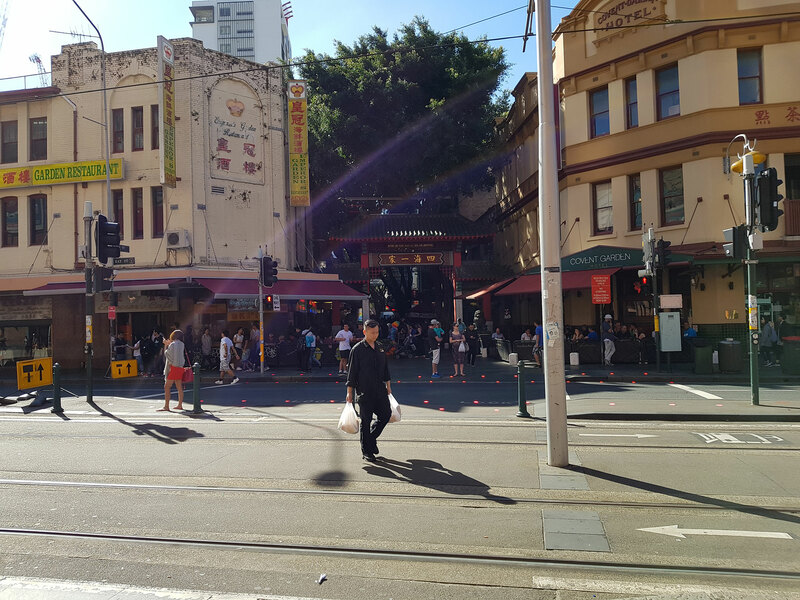 Tested on Telstra’s 4GX network in Sydney’s CBD, we found the handset topped out at a maximum of 200Mbps in our tests, though the closer you get to city focal points, the more solid the speeds appear to be. Even if you can’t net the full 1Gbps yet, the release of the Galaxy S8 means there’s another super high speed modem that you can tether to in Australia, and it should work on other networks as the technology rolls out on different carriers, too. One area we were a little surprised by when Samsung first announced the Galaxy S8 all those weeks ago was that of the camera: had anything changed? On the surface, the answer appeared to be a little murky, with what came across as an identical camera sensor on the back and identical glass, and not that this is necessarily a bad thing — because the S7 offered a great camera — but it’s not the change in technology you expect with a new phone. Fast forward to those few weeks later, and what a difference a play makes, with a camera module that feels even faster, brighter, and more accurate for what you’ll be capturing in the world around you. 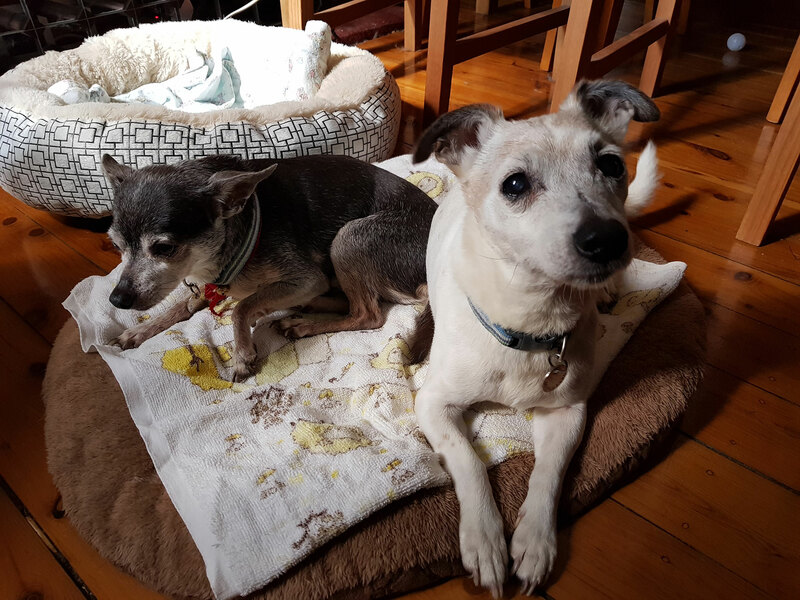 While the technology is largely similar, Samsung has added a little bit of smarts from frame analysis and capture, grabbing more images at the time of capture and using software and hardware together to blend information for a clearer image. 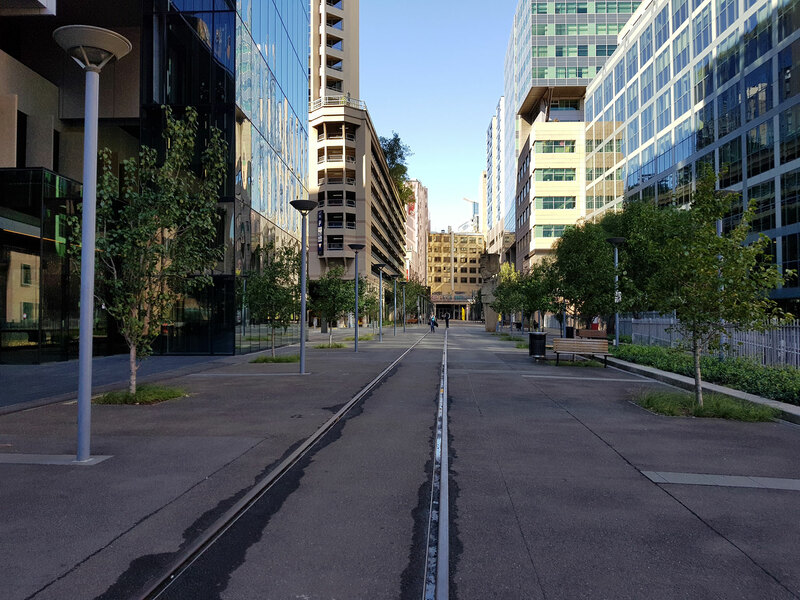 The results are generally excellent, with bright, crisp and sharp images in daylight, and really lovely usable images at night. Are they dramatically better than what Samsung offered in the Galaxy S7? That’s something we’re not so sure of, with the change not being a total revolution, but easily offering comparable experience to what you can find in both the Google Pixel and Apple iPhone 7, and these were of 2016’s better phone cameras alongside that of the otherwise excellent Galaxy S7 and S7 Edge. One thing you won’t get is zoom support, because with only one camera, you’ll be using digital zoom if you want to get close to anything, and while that works, blowing up pixels and sharpening the edges still only looks as good as it sounds. At least the camera is fast, and this is easily one of the best features of the Galaxy S8’s camera: it’s just always ready for you to use. With no physical home button built into the Samsung Galaxy S8 smartphone, you’ll find the quick access to the camera has shifted to the power button on the right edge, now allowing you to double press the power button to start the camera up quick fast. And start up fast it does, ready to go practically immediately when you need it. Seriously, this is about the fastest camera we’ve seen on any smartphone, and provided you turn that shortcut on and remember it, you’ll have a camera ready to go that’s as fast as your fingers. Turn it on, touch the on-screen shutter, and your image will be captured, no delay. It’s the sort of performance you want out of every smartphone camera, with results that work as well as the camera itself. Samsung’s front facing camera is also excellent, and includes a change we’re delighted to see on a front-facing camera: autofocus. Most smartphone cameras ignore this, going with a fixed focus module that works at arm’s length, but doesn’t work for much else. If you’ve ever zoomed in close to a selfie, you probably know exactly what we’re talking about. Samsung’s 8 megapixel selfie camera on the Galaxy S8 camera can focus on more than just you at arm’s length, and it does a good job at that, too. It even supports some very Snapchat-esque animated masks, allowing you to apply cute and fun effects to your face, turning you into a puppy, a seal, a rabbit, or a pop sensation. It’s fun to play with, and works for more than just the front-facing camera, able to be applied to that 12 megapixel rear camera too, just in case you’re in the mood to mess around with the people you’re photographic. Mum, dad, wife, whomever. The selfie camera is capable of handling images of yourself in low light, or having some fun. 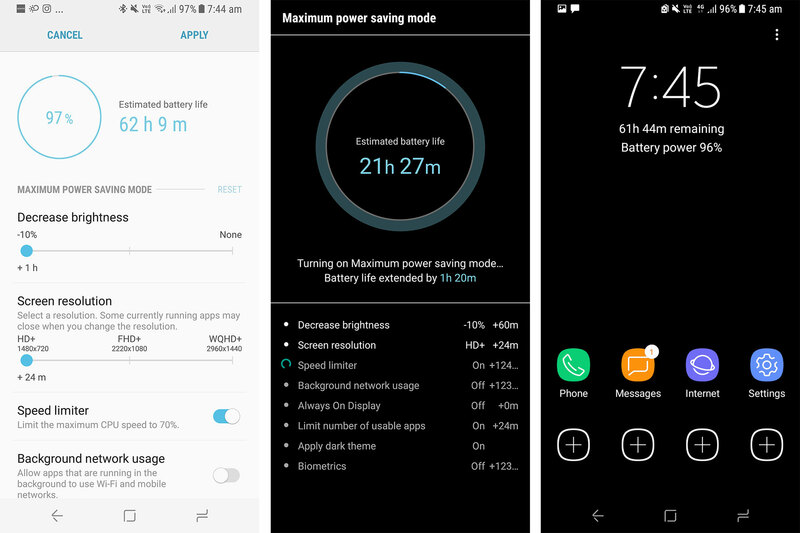 An area that is always going to be a bit of a perpetual struggle, the battery hasn’t changed dramatically from last year’s Galaxy S7 and S7 Edge, making it through the work day, and the whole 24 hours if you need to, but not much else. The proof is in the pudding, too: off charge at 6AM and testing with a slightly different timeline, we had our Galaxy S8 listening to music, social networking, sending and receiving messages, making and taking phone calls, grabbing a picture here and there, watching a YouTube video (because the review period was out at the same time as the release of the “Star Wars: The Last Jedi” teaser), and connected to a smartwatch all day, we found it survived the full 24 hour period. Granted, with eight percent (8%) left by the morning, you’re going to want it on charge before bed, anyway. That’s a full 24 hours, though you’ll probably want to leave this as more like 18 hours — from morning to when you get home — which is the typical work day. For some, that won’t be enough, but given the features found inside if you miss out, you’ll find it can last the rest of a night, and there’s also some power saving modes thrown in for good measure, one of which should achieve two days of battery life, though you’ll compromise usability for the privilege. As a point, regular sized phones ranging from 4.7 to 5.2 inches generally hit a grand total of a maximum of a day, and while the phone has rocked up with a 5.8 inch screen, it’s still technically a regular sized phone thanks to Samsung’s use of a big screen in a small body. Despite these changes, the life is more or less on par with what it was on the Galaxy S7. 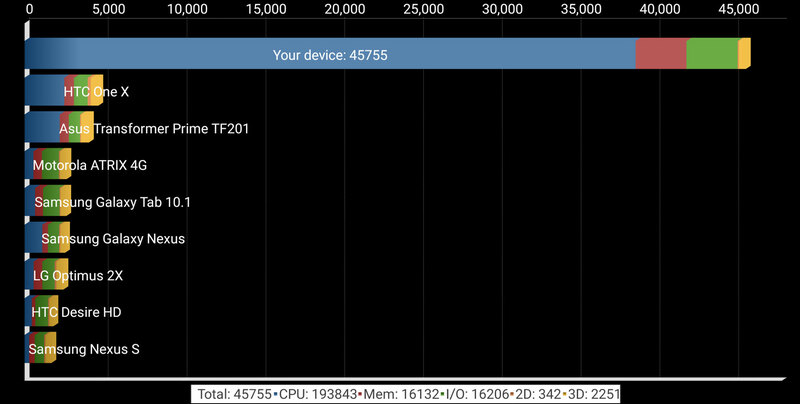 Need even more battery life? You’ll need to make a few sacrifices. An odd one, we don’t normally include a section in our smartphone reviews for the bundled earphones, and there’s a great reason for this: they’re usually the same old crap you’re used to, and the first thing someone should replace the moment a phone is bought. We know loads of people who still use Apple’s Earpods, and these do sound better than the majority of included earphones, but with a low line volume and a design that forces you to crank up the sound in order to hear anything — a move which is actually bad for your hearing, no less — even with the semi-usable Earpods, you probably should replace them. That’s a problem even Samsung has had to endure in the past, because like most manufacturers, it would always include a pair of what Pickr’s reviewer likes to call “crapbuds”. But that’s not the case with the Galaxy S8, because in Samsung’s latest phone, it has seen fit to include something not crap at all, but rather decent. Bloody decent, in fact. Now that Samsung has acquired Harman, it has access to some pretty serious audio brands, including Harman Kardon and AKG, and that’s after the company had already grabbed some of its lead engineers to work on its soundbars and speakers. So with Samsung owning Harman, it makes sense to leverage the brands available to it and make its earphones a little better. More than a little, we’d say. Bundled with the Galaxy S8 is a pair of AKG in-earphones with a 3.5mm headphone jack, and in a nice chance, they actually say “AKG” on the inside. There’s no Samsung branding, or special “Galaxy” name found here. Rather, these are just AKG in-earphones, and you know what? They’re actually good. Testing it with the Pickr Sound Test, we found the bass levels welcoming, with enough depth to pick up on the thud in modern rock and pop, while jazz and classical handled itself decently, too. Mids weren’t bad either across our test, but the highs felt a little missing, especially in jazz where piano often felt left behind everything else. There isn’t an insane amount of depth to the soundscape, but overall, the AKG in-earphones that arrive with the Samsung Galaxy S8 are actually decent, and usable if you have nothing else. We didn’t even count ourselves as having to endure them. Rather, they were usable on a train ride home, which made for a nice change, since no pair of phone-supplied earphones has ever been good enough for the way home. Beyond the sound, the comfort is acceptable, and you’ll find a few silicone earpieces inside the box, so that’s handy. The cable is short, but at least it’s long enough to be worn without fear you’ll have a long length dangling from your head, plus there’s a remote with volume controls, something Android headsets generally disregard. Really, though, this is sort of like what would happen if Apple — which owns Beats — released Beats earphones with an iPhone, which has long been rumoured and suggested by pundits something that would happen. It hasn’t yet, but perhaps with the 10th anniversary approaching, it well might. Given that Samsung has shown great earphones can come with a phone, it’s about time the other manufacturers listen in and played the same game. More than just a thought-out sum of its parts, the Galaxy S8 includes some surprising bits and pieces not really listed on the box, much of what sits in the settings menu. Take the inclusion of Bluetooth 5.0, for instance, something we’ve not yet seen on a phone but was announced in the middle of last year, offering more bandwidth for headphones, speakers, and other devices made to support stronger wireless connections. Biometric scanning exists in two forms on the handset, both working as forms of security, and one of three: there’s fingerprint scanning, facial scanning, and iris scanning. Fingerprint scanning is the one you expect most phones to have these days, after a resurgence from Apple’s inclusion on the iPhone 5S and now appearing on pretty much every major flagship from every brand, and even some mid-range and budget phones, too. Facial scanning is also supported here, handled by the camera, while iris scanning takes the technology previously seen on the Galaxy Note 7 and brings it to another phone (with the Lumia 950 and 950XL, that means the technology can currently only be found in four available phones, with the Galaxy S8 and S8+ joining). Iris scanning is perhaps the most interesting of the bunch, but you won’t find it always works. In daylight and ambient light, the technology is actually decent, waking up the phone quickly simply for a glance. At night, however, and in the dark, the handset struggles to see your eyes, and so you’ll want to rely on your finger’s positioning on the back. 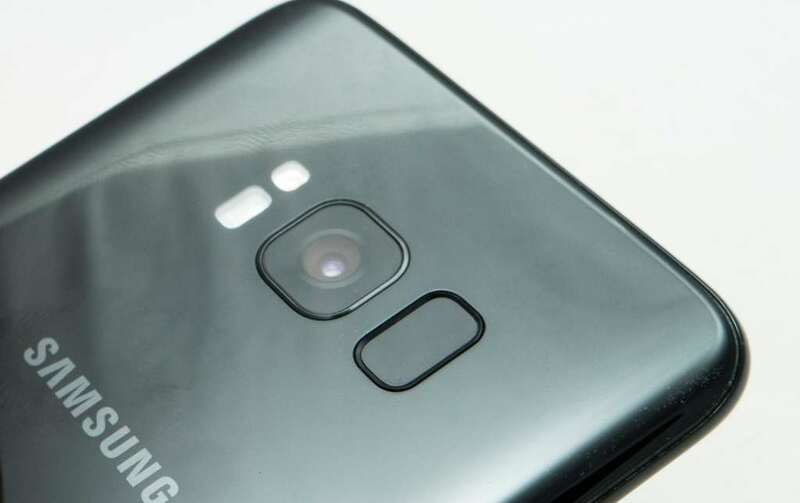 Yes, we said the back, because without a home button on the front and below the screen, Samsung has had to move the fingerprint sensor to the back in the unusual location of right next to the camera lens, instead of the typical rear location of below the camera. We wondered about this distinct location when the phone was launched, and after using the handset for a few days — and after getting by with a combination of fingerprint and iris scanning — we can say that you get used to this odd location, but you don’t get used to accidentally leaving your finger on the camera lens, which will happen. It works, but it’s not the best location for Samsung. But the combination of fingerprint and iris scanner does work, and it’s one you should get familiar with, because as good as iris scanning is, it’s not reliable when daylight changes to night, and the light at home drops with it. Security and wireless improvements aren’t all Samsung has thought about, because the operating system has been tweaked and changed with some neat inclusions. 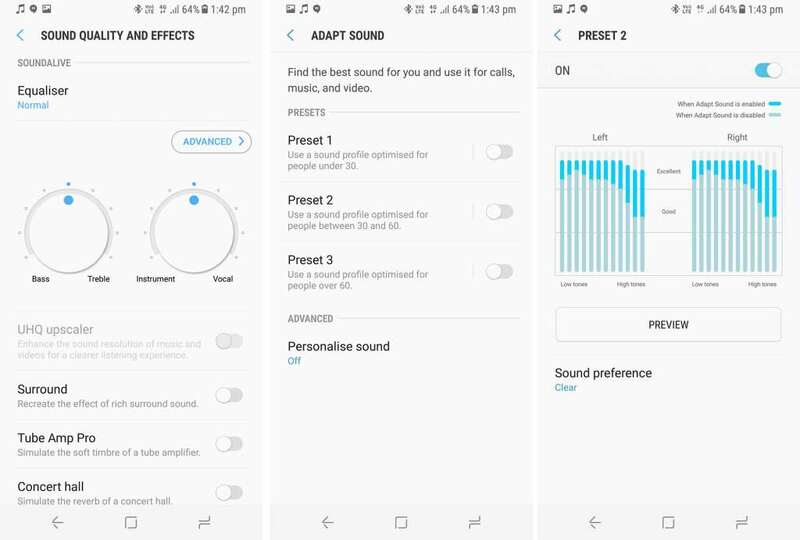 For starters, you’ll find more in the area of audio tweaking, with the ability to make your audio sound like it’s running through a tube amp and the simulation of a concert hall’s sense of scale, while Samsung’s “adapt sound” feature changes the sound profile based on your age, changing the way sound is heard accordingly. 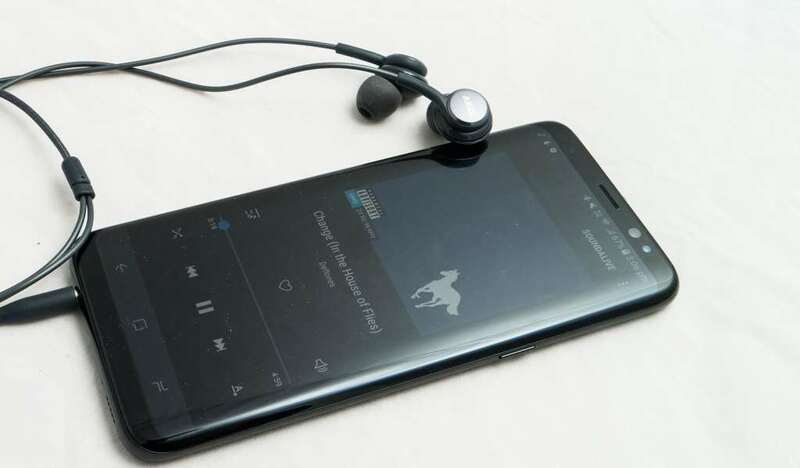 Volume control can be synced between device and the phone, something Android phones tend to skip over while Apple’s iPhone has no problem linking up, and there’s also the option to play music through a Bluetooth speaker while other audio through something else. 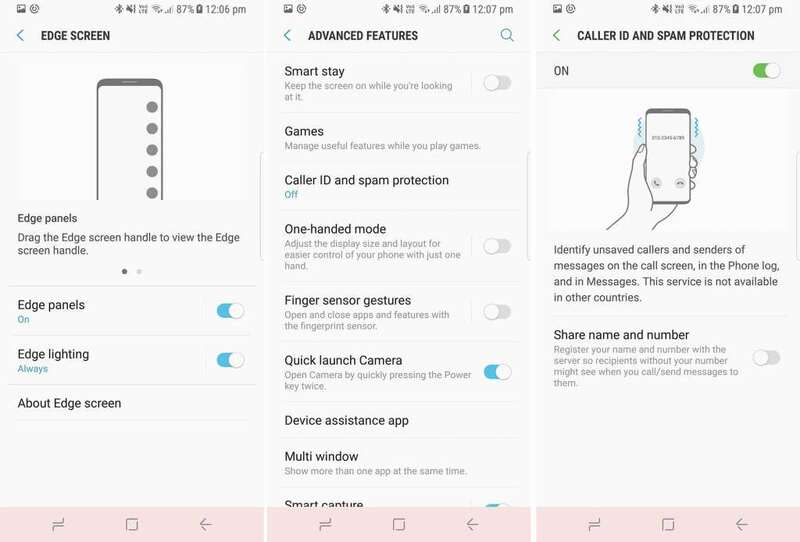 Other inclusions also found in previous Galaxy phone are also here, such as the edge screen and its extra shortcuts, caller ID and spam protection, support for voice-over LTE (VoLTE) and voice-over WiFi (VoWLAN), split-screen control that offers more with the elongated screen size, and now gestures that can be picked up on that fingerprint sensor. The other big feature is Bixby the Assistant (as opposed to Bixby the Bear, because its name almost comes across a little like “Teddy Ruxpin”), and it’s a digital system similar to Google Assistant, Apple’s Siri, and Microsoft’s Cortona designed to integrate itself with your life and offer a bit of help when you need it. 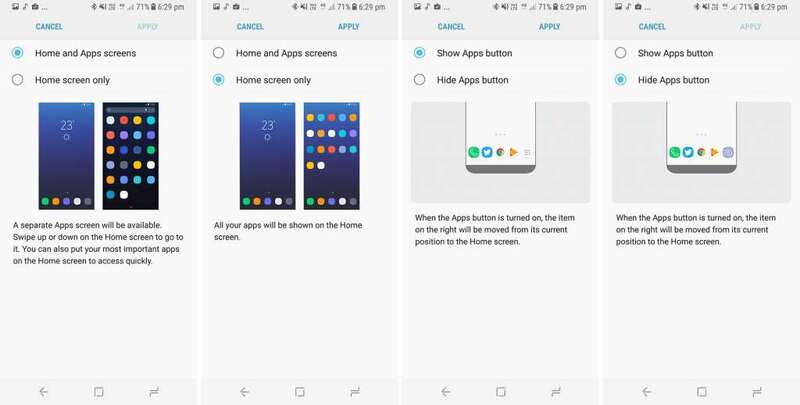 Samsung even has a dedicated button to let you access Bixby when you want to, with a physical button below the volume rocker serving this purpose, not to mention it being the left most screen if you leave the look and feel of the Galaxy S8 largely unchanged in the home screen settings. 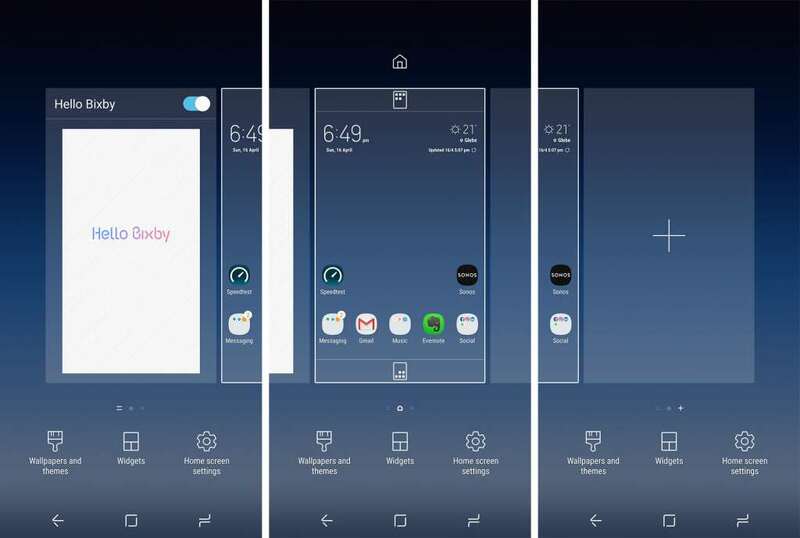 You can turn Bixby’s home screen access off, similar to how you can turn off HTC’s BlinkFeed, but you don’t seem to be able to turn Bixby off as a whole, and that’s a little interesting seeing as the virtual assistant doesn’t appear to do much. Strangely, you can limit Bixby’s access to your life and turn off all the cards, but that will still leave Bixby there, appearing in your life with a blank screen sporting “Hello Bixby” at the top. If you do decide to use Bixby, Samsung’s assistance will show you reminders, nearby places, themes, wallpapers, what’s trending online, news, and the sort, but rarely does it feel totally connected with your life. Rather, it comes across like a less connected edition of Google Assistant, which is bizarre since Google Assistant is also found on the Galaxy S8. Bixby in all its glory. The one thing Bixby does well, however, is to look at your photos and camera, but only if you give it permission to. 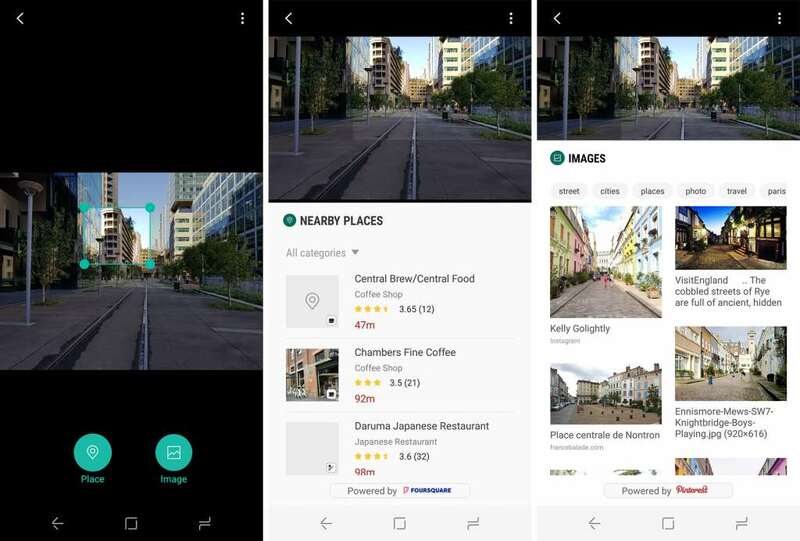 When activated, it will take a peek through either an image or the camera as you’re using it and work out whether what you’re viewing has live information that might be useful to you, such as telling you what you’re looking at, what’s nearby, and revealing other images Bixby believes is related. Right now, however, that’s the extent of the intelligence Bixby offers. Samsung has told Pickr that eventually Bixby will be able to listen to voice commands and control the phone using only your voice, with the idea being that anything you can do with the touchscreen — any app that can be activated using your fingers — will be controllable using your voice. However, with no voice control upon release in 2017, that may be a ways off, and our guess is closer to the back half of the year. That means for now Bixby is more just a concept, and one that doesn’t feel like it nails the execution. Bixby works best when used through the camera and photos. Fortunately, it doesn’t destroy the phone at all, with the S8 being greater than this one feature Samsung is trying to push. There is a catch, however. While we’re unsure if Bixby is a relevant feature or not, we look at the beautifully simple form of the handset and keep getting drawn back to one basic question: why add a button specifically for the Bixby assistant. If Bixby is supposed to pay attention and be accessible, surely software integration is plenty, since you can find traces of Bixby across the phone anyway: it’s in the gallery as a shortcut to scan through your images, it’s in the camera to work out what is in the scene you’re presently in, it can automatically look through search history and reminders, and connect to Twitter and LinkedIn. The point is Bixby is already a part of the phone, evident from you swiping all the way to the left and seeing the Bixby interface as a replacement to Google Now. So if Bixby is a part of the phone’s operating system, why does it need a button on the hardware muddying things up? And why hasn’t Samsung made the Bixby button remappable? 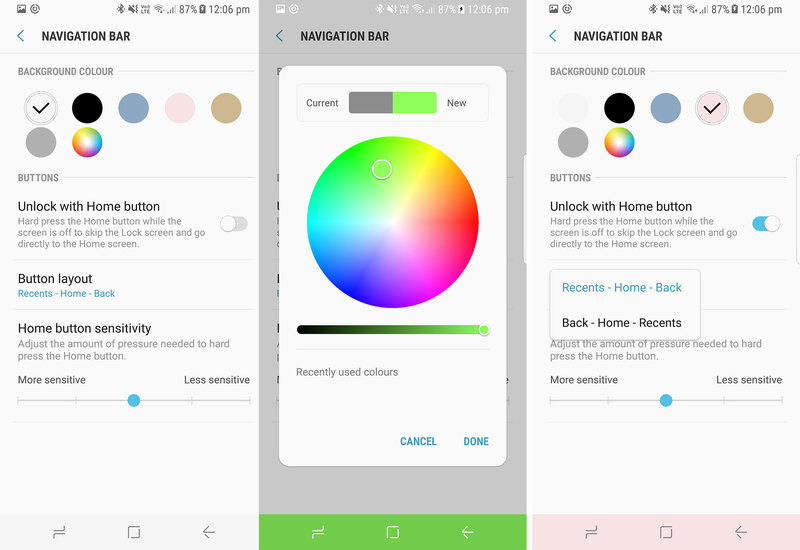 You can do this yourself with a different app, something a user on the XDA forum developed, but we stand pretty firm on the idea that Samsung should feel like it’s forcing its customers to use its assistance platform over someone else’s, and if you’re using Google Assistant or Google Now already — or if you’re one of the few using Microsoft’s Cortana instead — you should be able to map this button to those, or to any other function. That means it’s not really Bixby we’re confused by, but rather Samsung’s lack of control for the button. We get it, too: there’s a button here to activate Bixby, but really if you’re going to add superfluous buttons, they should be mappable and customisable to whatever function you want. It might be a camera, or it might be Evernote, or it might be Apple Music or Spotify or whatever; the point is the choice should be yours. Alcatel has opted for this in its phones, so it’s not exactly without precedent. And hey, you might even choose to map the button to Bixby, but you should at the very least get that choice, because this is the one part of the Galaxy S8 where it feels like you don’t, and given how well executed everything else is (aside for Bixby), that’s a real shame. 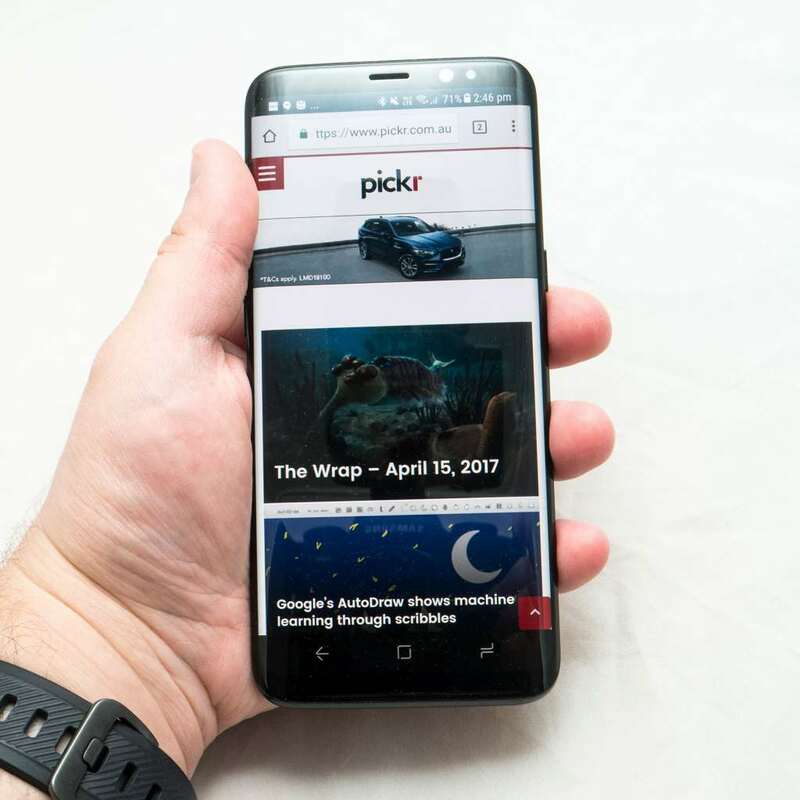 The question mark hanging over Bixby notwithstanding, Samsung’s Galaxy S8 is a continuation of the excellence Samsung had developed with the Galaxy S7, and what is really a metaphorical rolling with the punches. Is the phone a total revolution? No, but it is a continued evolution, with some useful tweaks and shifts, and even one that we’re still left hanging with a question mark. Bixby’s question mark isn’t enough to dissuade us, though, and Samsung’s Galaxy S8 comes across as if it’s a phone that’s ready for anything. In your pocket, it’s ready to take photos, and to make calls, and to be a part of your life the way you expect a phone to be. Given the flexibility Samsung is seeking to add in with the virtual reality in Gear VR, as well as the work side of things with Samsung DeX, it’s easy to see Samsung is trying to make the Galaxy S8 the focal point of your existence, and given how well it works, we’re not surprised. It’s a device that doesn’t just unbox your life, but connects with it. It doesn’t stop for your life, it just keeps going with it. And while it looks a little like the Galaxy S7, this is a new phone, and one that feels like it’s more than just a fresh coat of paint for an ageing brand. At $1199, there’s no doubt that Samsung’s Galaxy S8 still ticks an expensive price box, but given what’s included, it’s hard to argue against a solid value conclusion, especially when the storage sits at 64GB and can be upgraded with a microSD card. The jury’s still out on whether Bixby will seriously make a dent on our life as a whole, especially since it sits alongside Google Assistant, and Google’s equivalent does far more at the moment, but if you’re not fussed, you’ll find an excellent handset you can grow more comfortable with day in and day out. Seriously, the more I use this phone, the more I love it. Highly recommended. 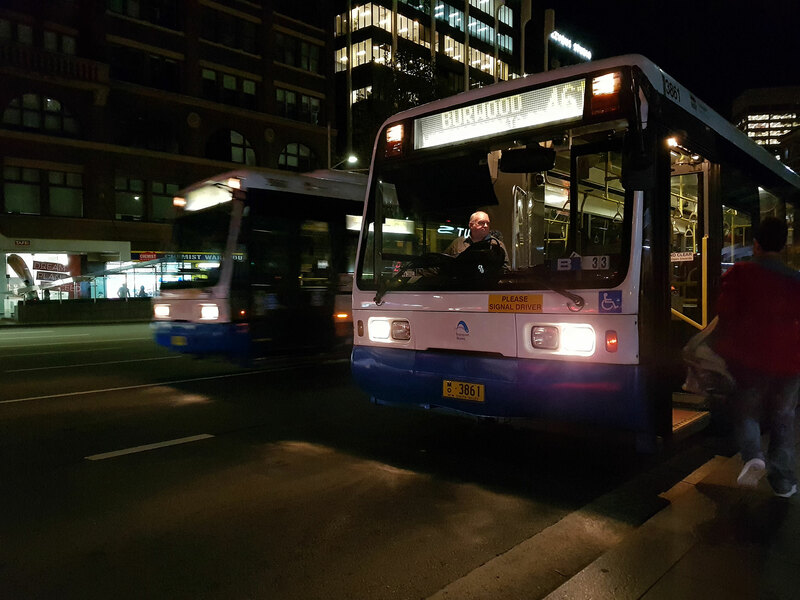 Very fast 4G: Australia's first 1Gbps phone!